Since we recently had a post on Interiorgod about modern kitchen designs, we decided to make a little research on classic ideas as well. So here you have it: 23 inspiring traditional kitchen designs that will take you back to the beauty and elegance of the latest decades. We tried to find exquisite designs with a well defined personality. Most of them have wooden finishes, but there are also a few with a color theme. Classic furniture is present in each and everyone of the interiors below, creating a charming and warm atmosphere. Decorative elements are the spice and pepper of these traditional kitchens: unusual wall clocks, small knitted baskets, curtains and very interesting looking tableware are just a few of the details that caught our attention. We really like how the colors of the walls contrasts the furniture in some of the photos, creating an outstanding design. 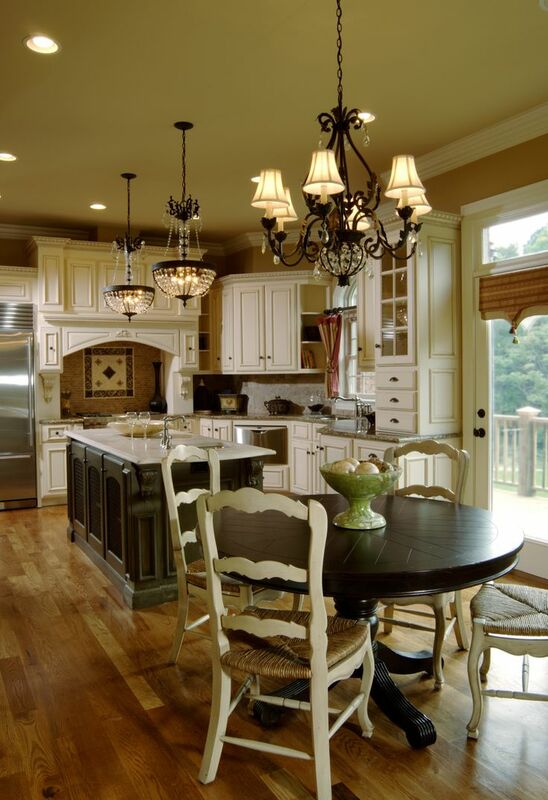 Flower arrangements can have a great influence on how a traditional kitchen looks and can freshen up any interior. Enjoy the pictures below and be sure to give us your feedback.